Well appointed and spacious farmhouse on 104.15 acres. Incredible family/bonus room with Brazilian cherry hardwood floors (also in living and dining room)and wall of windows. Expansive master bedroom suite and 5 additional bedrooms to accommodate family and guests. Large Eat in kitchen and separate dining room for formal and casual gatherings. 1st floor laundry, mudroom and walk in pantry. So many amenities... Perimeter of acreage is fenced, previously used as cattle farm. Barns and outbuildings for farming and storage. So many possibilities ....Private setting with an abundance of natural vegetation and wildlife. 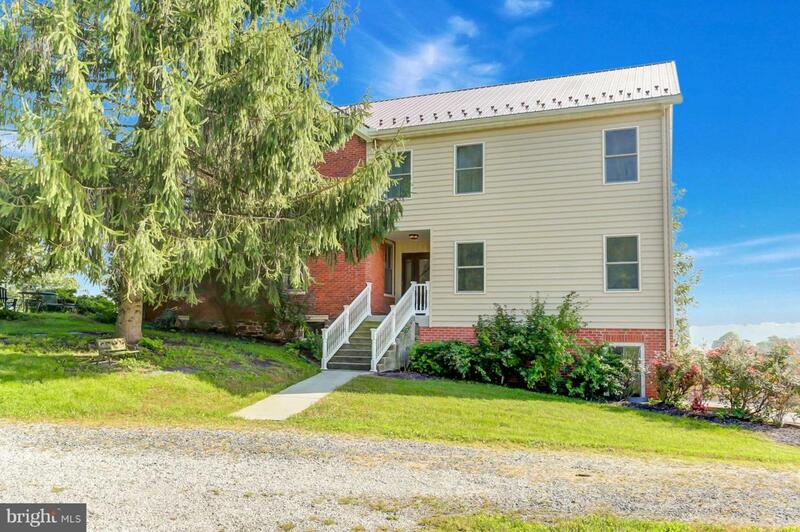 Enjoy the peace and quiet of rural living with easy access to Harrisburg and Gettysburg. You'll love what you see - why wait?